The Beautyrest Big Wash Pillow is a plush pillow that gives peaceful night's rest. With 20 ounces of Naturesloft fiber fill, you get plenty of cushioning with this pillow. 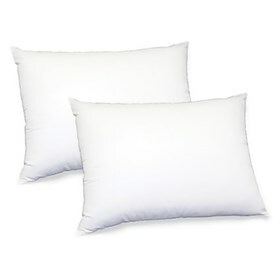 The pillow features a 200 thread count 100% polyester microfiber cover for durable softness. The Beautyrest Big Wash Pillow Jumbo Size (2 Pack) has many exciting features for users of all types. The Beautyrest Big Wash Pillow Jumbo Size (2 Pack) is sold as a Brand New Unopened Item.